Wow…. is it through some sort of prism? That is spaced out! 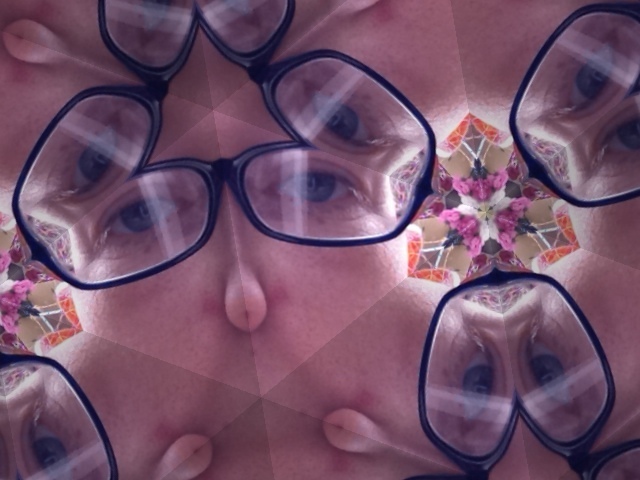 How did you get that kaleidoscope effect? Lol interesting pic. Love kaloidoscopes. Wow – how did you take that? Oh what a fabulous effect! Thank you for all your lovely comments. I have to admit, I cheated a little, I used something called photobooth which has a kaloidoscope camera! Now that’s an effect my camera app doesn’t have! Very, very cool!